WALKIN’ IN MEMPHIS! DO THIS; DON’T DO THAT! I recently went “walkin’ in Memphis” or more like a run for fun and several car rides all over Memphis. So here’s what ya need to know before ya go. 1) DO visit Stax Records Museum. 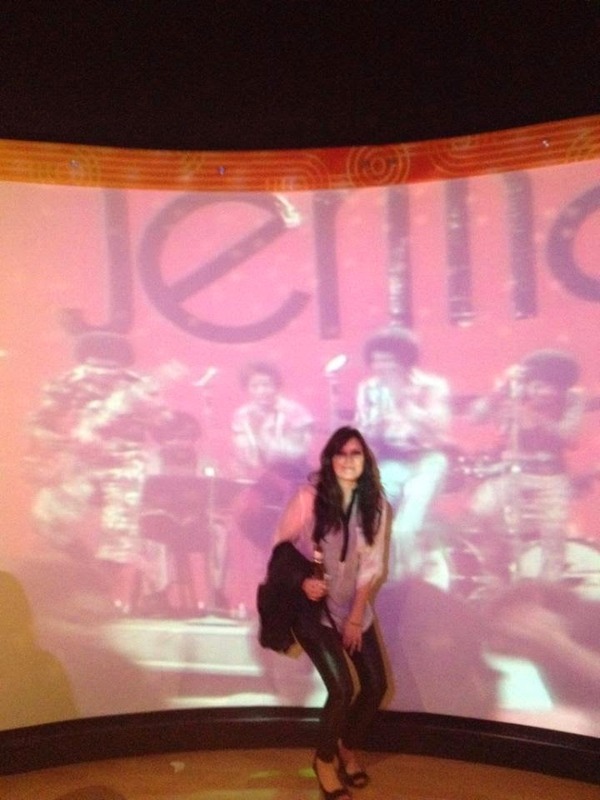 This place is amazing and has a plethora of information on the history and early days of soul music. DON’T try to walk around with a beer. I was at a private function where the beer was served to me. I didn’t take my own and I’m sure they will not let you walk in off the street carrying one :). 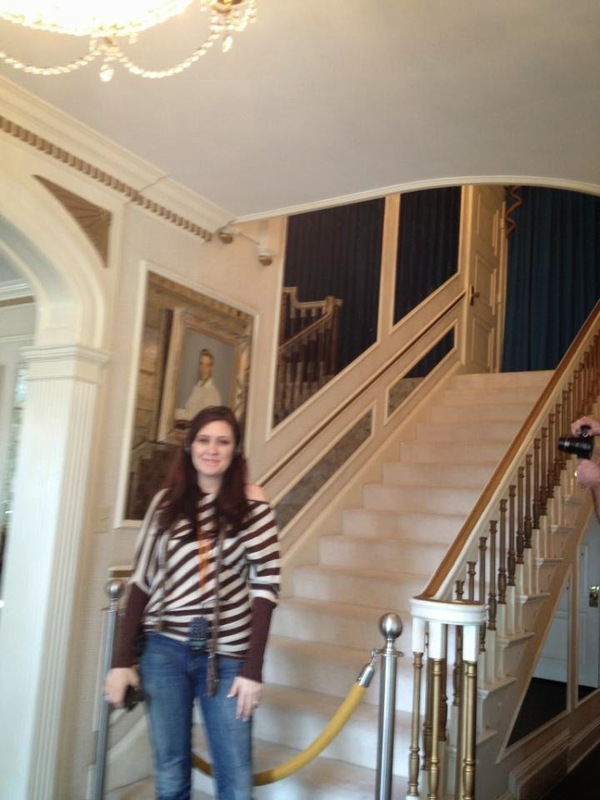 2) DO visit Graceland. The famous home of Elvis Presley. It is very interesting and has tons of information on the King of Rock n’ Roll. 3) DO visit the Memphis Zoo! It’s a really nice Zoo and has some great animal exhibits. 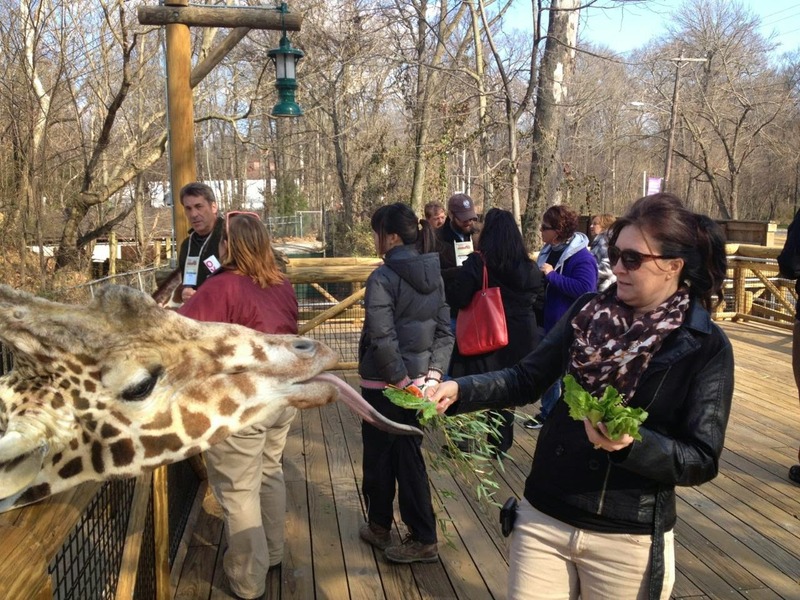 DON’T think you’re gonna feed a Giraffe without possibly getting french- kissed. 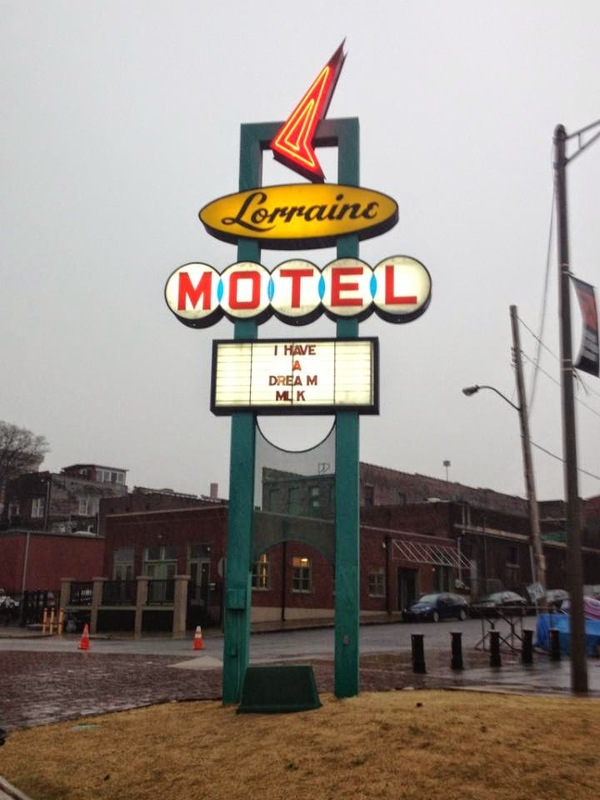 4) DO visit the Loraine Motel- the site of Dr. Martin Luther King’s assassination. You can learn a lot, and even if you don’t learn anything- it’s a gigantic piece of history and worth seeing in person. DO prepare yourself for the overwhelming emotion that will build up inside of you as you approach the site. You may have to hold back a tear. DON’T go in the pouring rain if you want to take pictures outside (and you will definitely want to)- DON’T let your husband try to take a picture with his phone as you drive by the Loraine Motel in the rain and almost run a stop sign and nearly cause an accident that could kill his wife and then blame it on you for freaking him out when you scream AAAHHH! 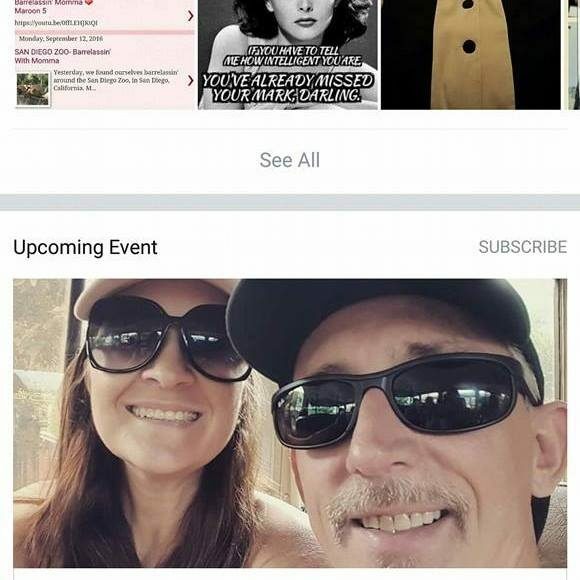 so that he will pay attention and stop the car so you (the wife) don’t die. With all the DO’s in Memphis, try to remember a few more things not to do if you want your trip to run a little smoother. Don’t step on your husband’s big toe with your high heel when he’s in his bare feet; it will hurt him. Don’t be overly confident with your comforter on your hotel bed, if you tug hard and your hand slips off, you will punch yourself in the nose really hard. And if you must do that, don’t do it while you’re on the phone with the school counselor because you can’t scream or cry until you hang up. And last but not least, expect your kids to do the exact opposite of the list you left for them before you left town. Expect everyone to be late for school, get hit in the face with a soccer ball and almost break their nose, expect them to need way more gas money than you thought, expect them to melt the red solo cups sitting too close to the stove instead of drinking from them so they didn’t have to dirty all the glasses, and definitely expect them to want more pizza. Anyway, our oldest son took us to pick up the rental car we had arranged to take to Memphis, TN. The three of stopped off at the Waffle House to get our usual. It was very busy, which is typical for a Waffle House, but for the first time, they jotted our last name down on a list they were compiling of customers waiting to be seated. It didn’t take an unacceptable amount of time before we were seated, and we all knew exactly what we wanted. I ate and, in a sense, people watched and kept up with conversation while I pretty much thought the same thoughts that I have every time I visit one of their establishments: this place is loud. I’ve been far too busy to post lately, but you can be sure it wasn’t due to taking care of myself or my looks. I made a trip to the grocery store so that I could be sure my teenage/adult children would have plenty of food to eat while I’m out of town, which is probably just a big waste of time since they’ll likely eat out the entire time I’m gone. I’m leaving for Memphis tomorrow, and apparently only half of me was prepared to leave the house, because I just dug the other half of me out of the bottom of a grocery bag. I mean I knew all along I would probably need to grab something for my trip, as I usually do, but after returning home and opening this particular bag, I had to ask myself…what in the hell must I look like? I better get my act together, and quick! It would appear that I was missing the color of my hair, my eyelashes, my fingernails, the color of my toenails, and the scent and feel of my soft, cocoa radiant, non-greasy skin. 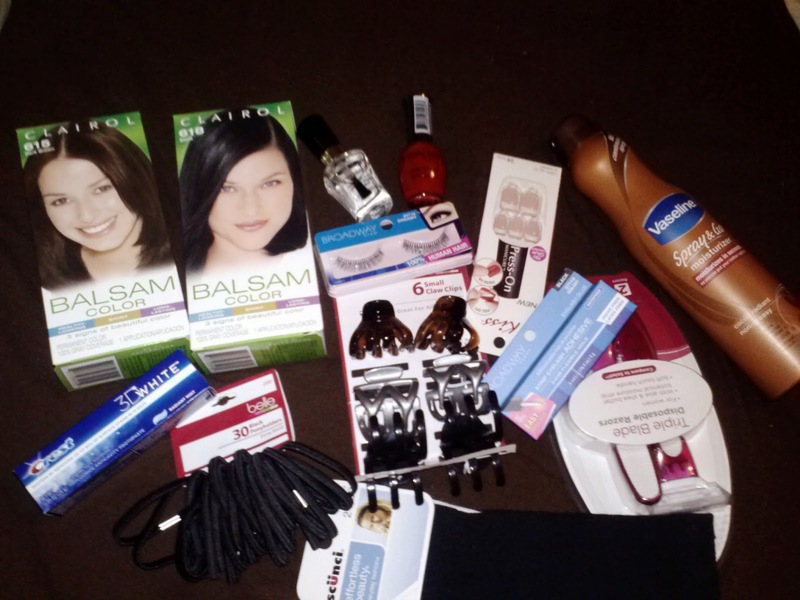 It seems the only thing I was prepared to leave my house with was the hair on my legs and beneath my underarms!